We are part of your community. We recognize that every community is different. 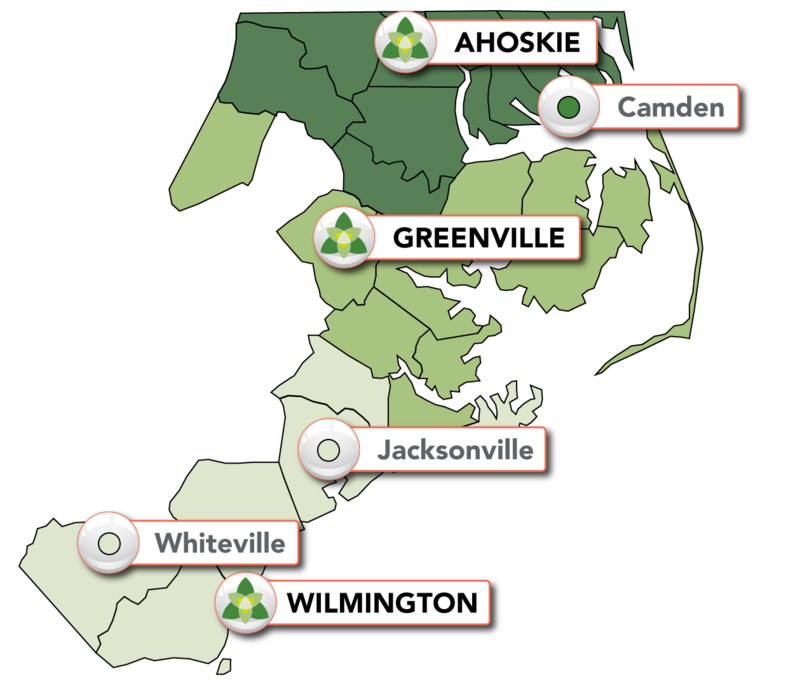 Although we serve 26 counties, it’s important to us to have a local presence and understand the diverse needs of eastern North Carolina. We want to include you in the conversation about what your community needs. Trillium Health Resources is widely accessible and deeply integrated in our communities to help improve access, reduce administrative burdens on providers and increase the quality of services. To do this, we have three Regional Offices, each with a Regional Operations Director dedicated to your area. The Governing Board collaboratively plans, budgets and monitors Trillium operations. It is composed of an equal number of members from each Regional Advisory Board. This two-tiered governing structure allows for accountability of services within our communities, a local service model and local advocacy opportunities for individuals and family members. Each region has a Regional Advisory Board to ensure the local voice is heard on the Trillium Governing Board. We want to meet you where you are to create positive change and empower people to transform their lives. Click on the region you live in to learn more about the make-up of your Regional Advisory Board. Effective July 1, 2018 GAST Training will be conducted throughout all 26 Trillium counties by Therapeutic Alternatives.